Feedback on the website prototype from students at Samuel Hearne Senior Secondary School, Inuvik, May 31, 2011. 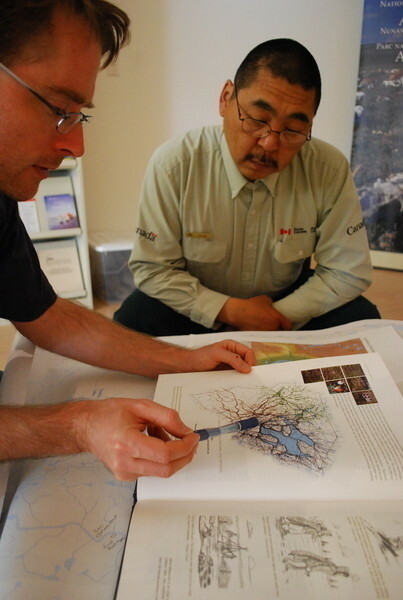 Photo by Kate Hennessy.Mervin Joe and Craig Brigley discuss maps of the Anderson River area at Parks Canada, Inuvik. June 3, 2011. 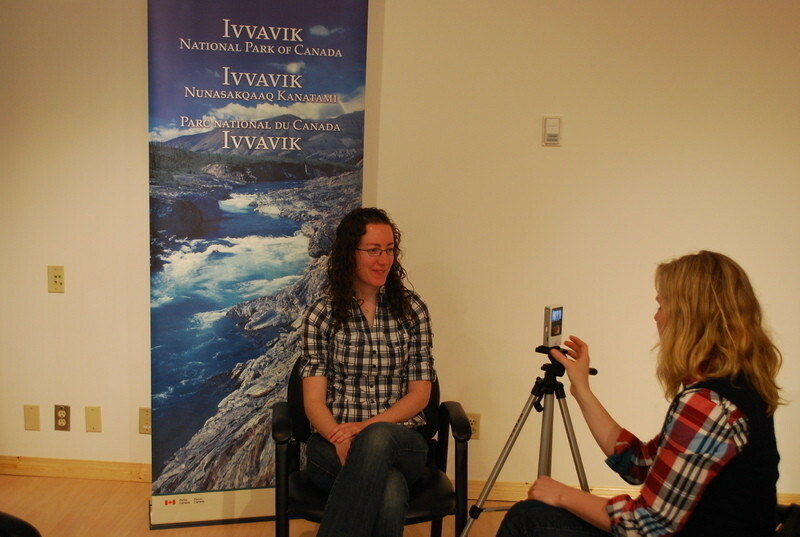 Photo by Kate Hennessy.Kate recording project feedback from Annique Sanche, Parks Canada, Inuvik. June 3, 2011. 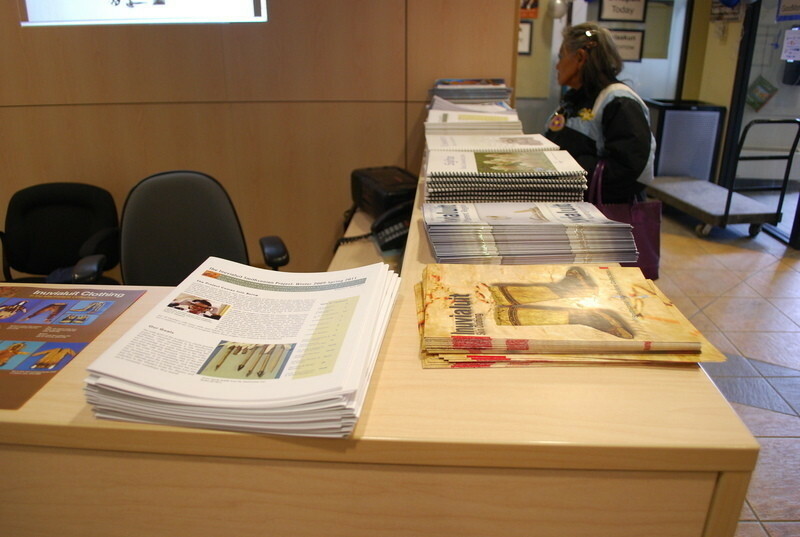 Photo by Mervin Joe.Project display at the Inuvialuit Day celebration, Inuvik. June 3, 2011. 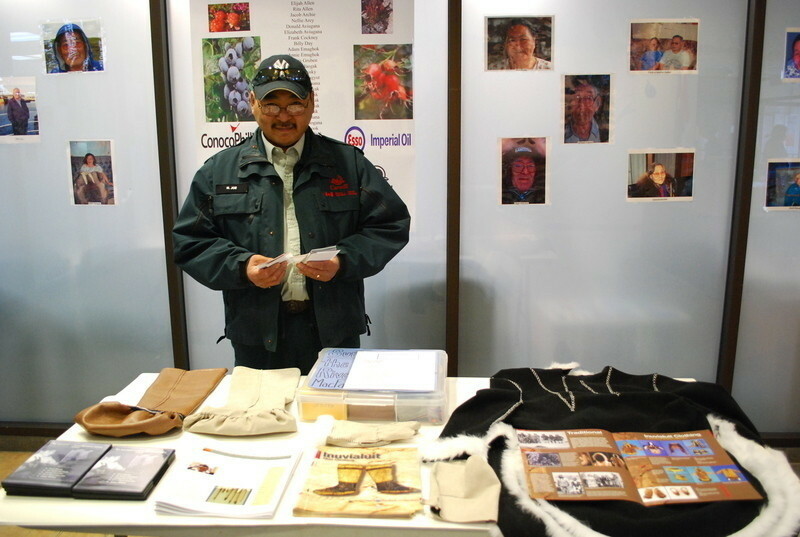 Photo by Kate Hennessy.Mervin Joe at our project display at the Inuvialuit Day celebration, Inuvik. June 3, 2011. 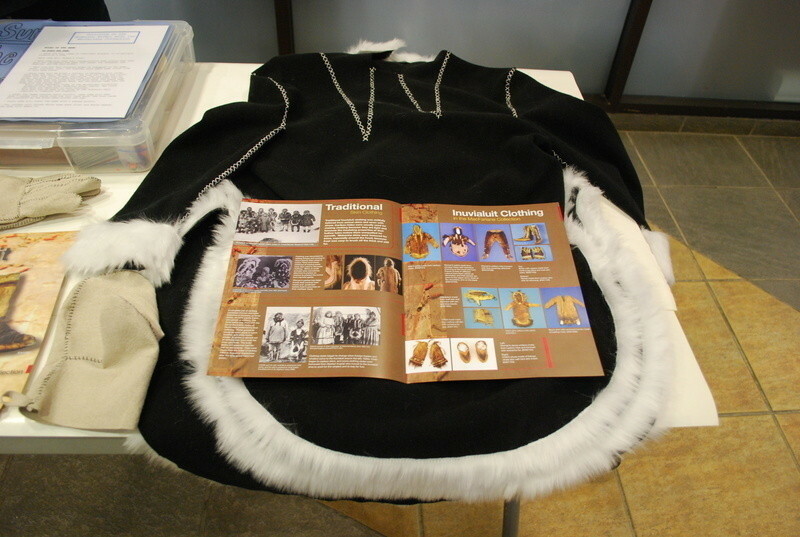 Photo by Kate Hennessy.Our Spring 2011 project report and Inuvialuit MacFarlane Collection Clothing brochure at the Inuvialuit Day celebration, Inuvik. June 3, 2011. 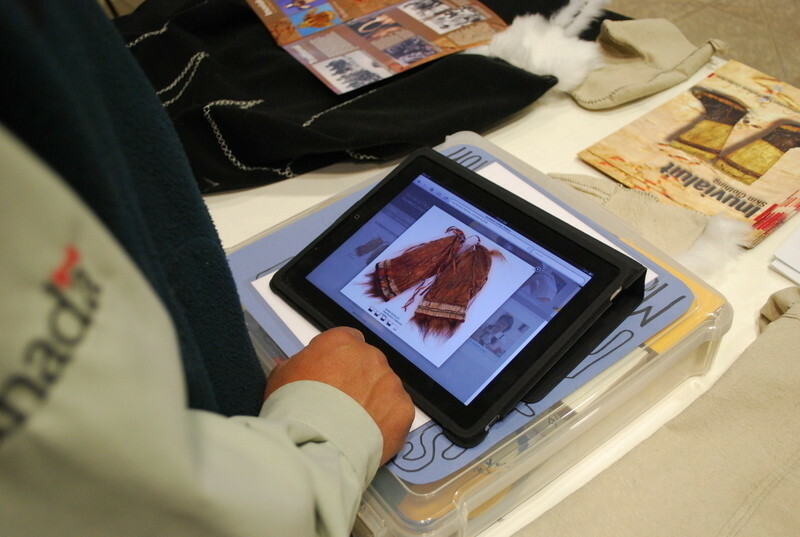 Photo by Kate Hennessy.Looking at the website prototype at the Inuvialuit Day celebration, Inuvik. June 3, 2011. Photo by Kate Hennessy.Drum dancing at the Inuvialuit Day celebration, Inuvik. June 3, 2011. 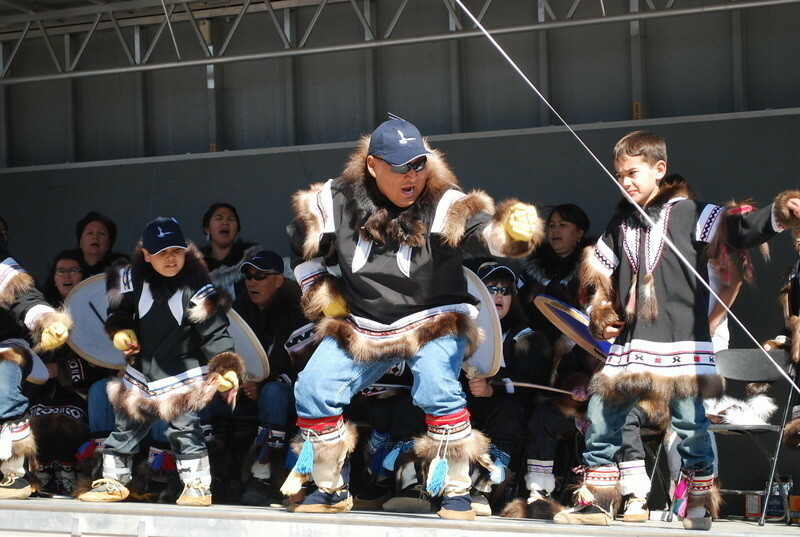 Photo by Kate Hennessy.Celebrating 27 years on Inuvialuit Day, Inuvik. June 3, 2011. Photo by Kate Hennessy. 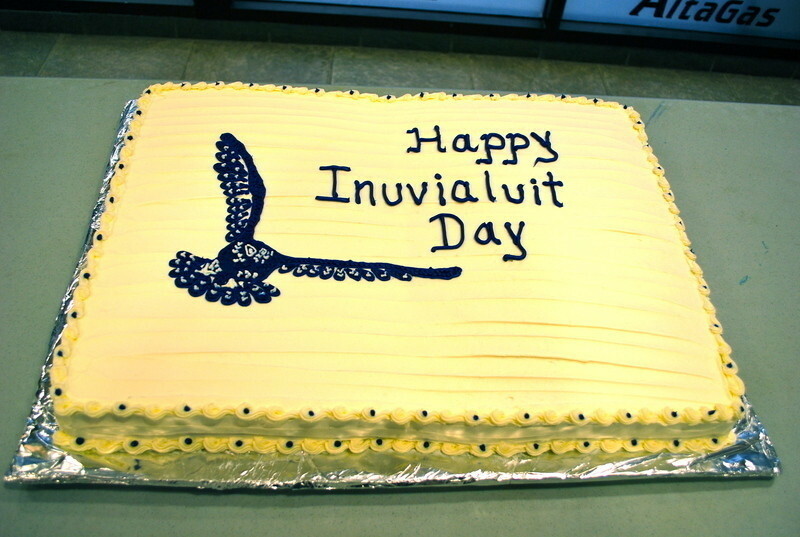 "Happy Inuvialuit Day" cake at the Inuvialuit Day celebration, Inuvik. June 3, 2011. Photo by Kate Hennessy.Since our last community consultation in February, our team has been working on a protoype of the Inuvialuit Living History website. 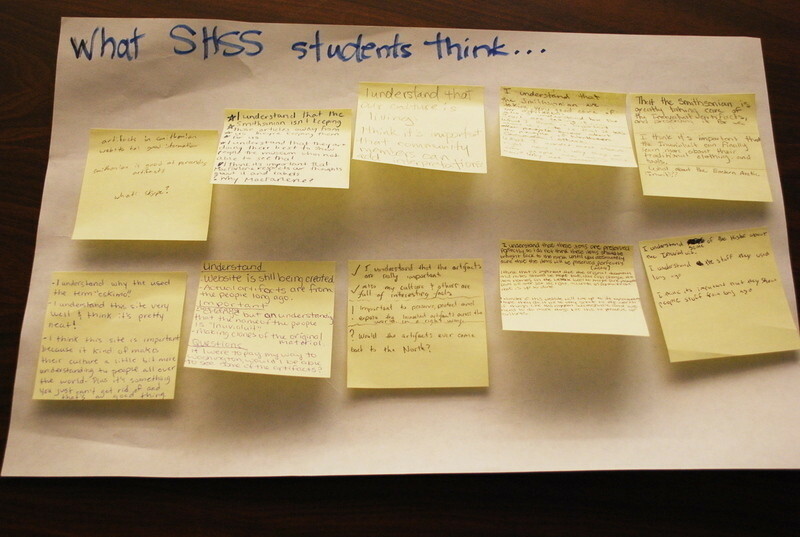 This week Mervin Joe, Cathy Cockney, and Kate Hennessy visited with students and teachers at Samuel Hearne Senior Secondary School to show them the site and ask for feedback on how to improve the website for use in the school. They also visited with the Inuvialuit Communications Society and Parks Canada, Inuvik, to show them the website and discuss how it could be used in educational programs. 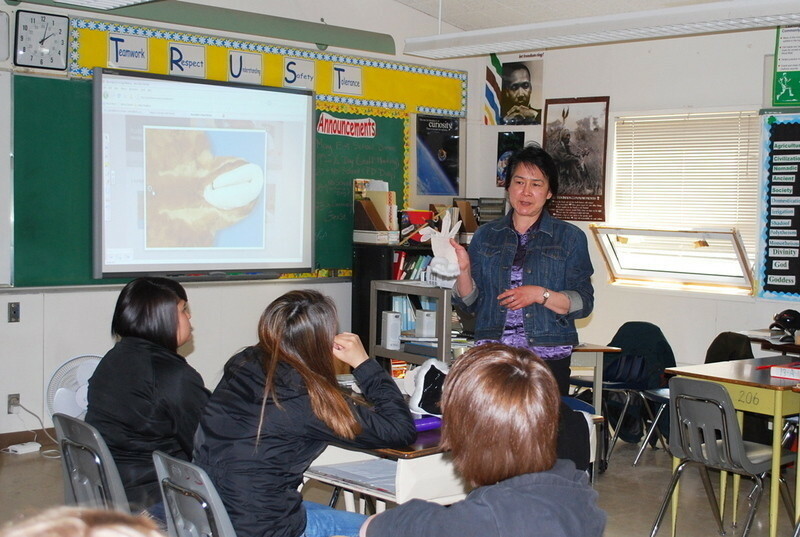 Finally, Mervin, Cathy and Kate presented the project at the Inuvialuit Day Celebration. 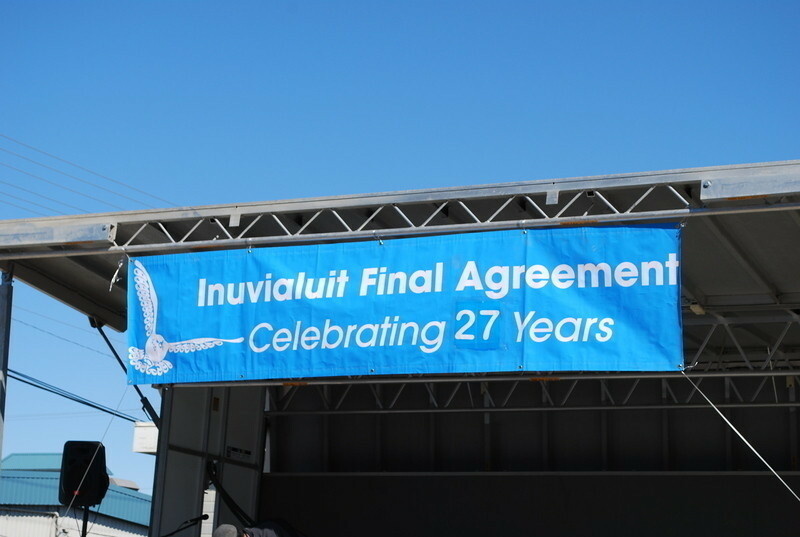 Inuvialuit Day celebrates the anniversary of the signing of the Inuvialuit Final Agreement, and was full of delicious food, drum dancing, and lots of happy faces! They had many good conversations with community members and a lot of good feedback for the completion of the website. The whole team is excited about the next phase of the website work and looks forward to launching the official site at www.inuvialuitlivinghistory.ca at the end of the summer.